There are not many of them, but Toronto boasts several bars and pubs that have been serving drinks for more than a century. In a city that a little over 220 years ago was no more than a cluster of tents, that's quite impressive. In fact, two of the bars on this list predate Canadian Confederation; all of them opened before the second great fire of Toronto and the first electricity reached the city from Niagara. Naturally, the process for definitively determining the oldest bars in the city is subject to some debate, as business this old have often changed focus over the years. While we've researched our list, please feel free to make other compelling suggestions in the comments section. Here are some of the oldest pubs and bars in Toronto. Only one place in Toronto can claim to have been serving beer for 155 years, and that's the Wheat Sheaf at King and Bathurst. The historic pub, which predates confederation, can trace its history to the days of soldiers at nearby Fort York and the wild wind storm that severed the Toronto Island's last natural connection to the mainland. The persistent rumour that the basement of the Wheat Sheaf is linked to Fort York by way of a tunnel is (sadly) completely bogus. Opened as the York Mills Hotel in 1860s, the Miller Tavern was a popular road house and resting point for horses on the trail out of Toronto. 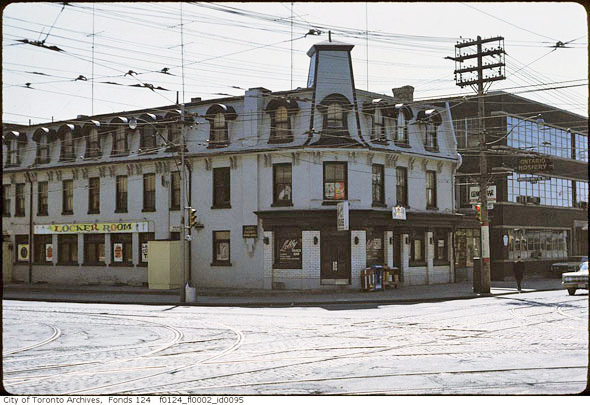 The name was changed to The Jolly Miller in the 20th century, and it became "infamous for the site of suburban high-school student debauchery," according to The Globe and Mail. The brick building dropped its happy moniker in 2004 after undergoing a renovation and conversion to a seafood restaurant.